Our young hopeful’s debut into the show ring came rather later than planned due to Wendy’s travels backwards and forwards to Norway and Sweden. 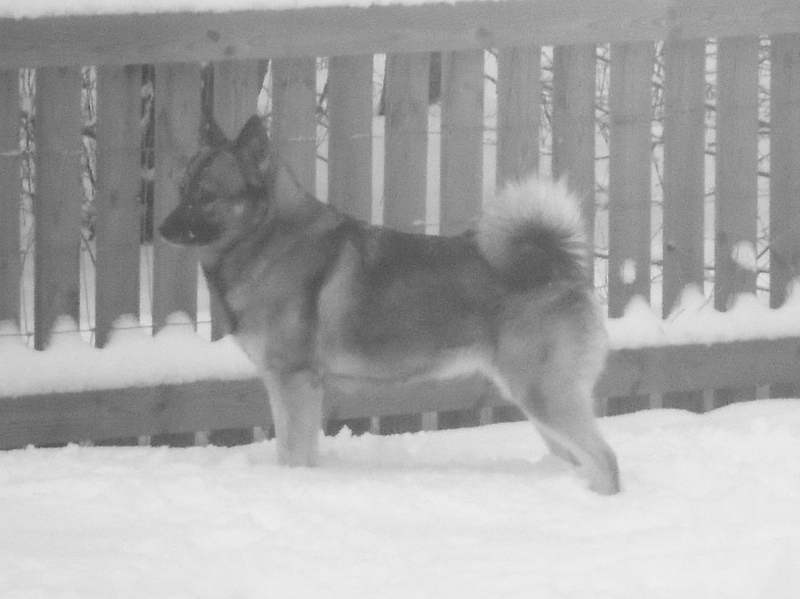 She can be a little stubborn at times, a trait she has inherited from her mother, Elsa, but is not uncommon in the breed. She loves to come indoors when she wants to and not when we invite her to! There is a very strong bond between Elsa and Kristina which is always a joy to see. Not much escapes her notice in the forest surrounding our house without she knows about it and alerts us. 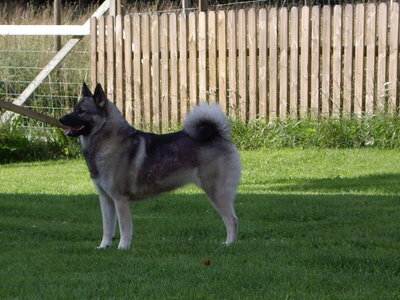 No lack of the typical Norwegian Elkhound voice for this young lady. Hopefully she will do well hunting as she has a very keen eye and extremely good sense of smell. We hope that she will have a bright future but it is early days yet. She has acquitted herself well in the Swedish show scene so far. Thank you Miranda. It’s always to make contact with other “elkaholics”. 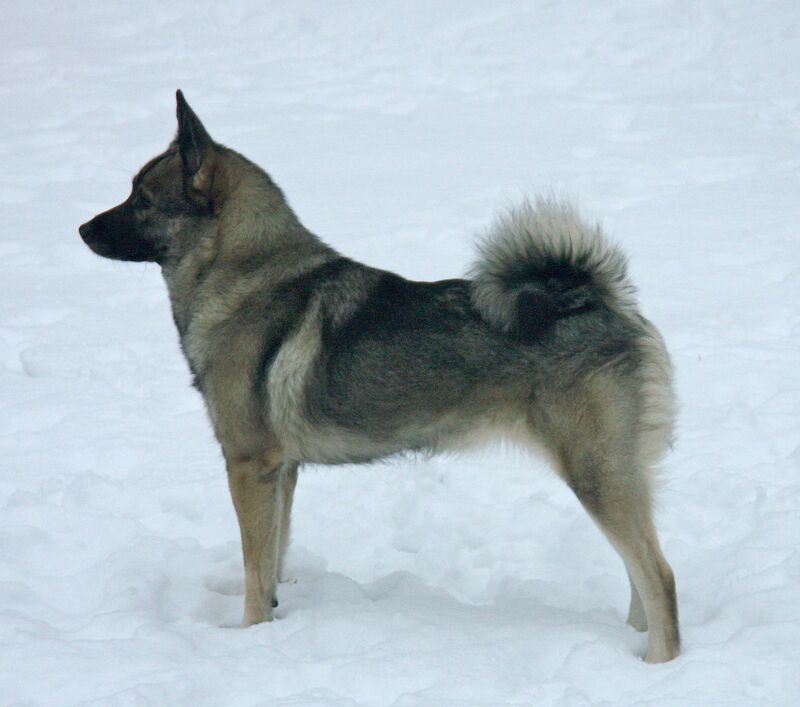 Have you seen our Facebook Group “GB Norwegian Elkhounds” where we share photos. stories, ask advice, etc?